Established in 1972, the Florida Police Benevolent Association, Inc. (Florida PBA) is a politically proactive labor organization that represents law enforcement officers in negotiations for wages, benefits and terms of their employment. They give law enforcement officers a voice in the day-to-day affairs of their agencies and fight to win them better pay, benefits and working conditions. Their goal is to provide law enforcement officers with a strong and effective voice before legislative and local government bodies. 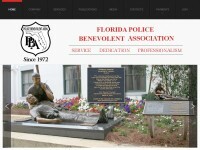 The Florida PBA contacted Web Design Logics for a complete website upgrade. Working together we created a responsive website that delivers up-to-date information to members using the very popular platform called WordPress.